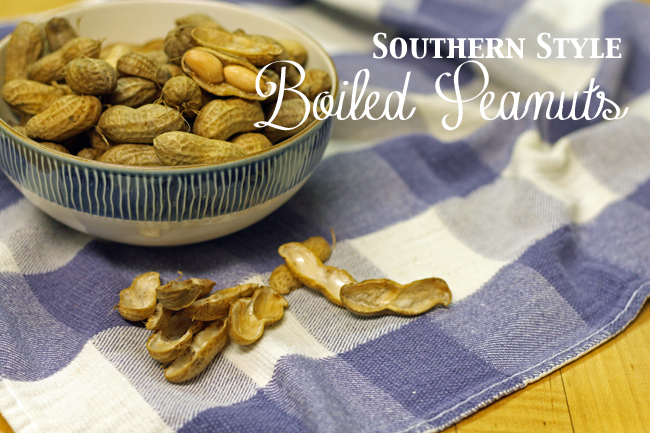 Ok, so if you're not from the south you might read "boiled peanuts" and think ew, that sounds revolting. To be honest I probably wouldn't blame you! 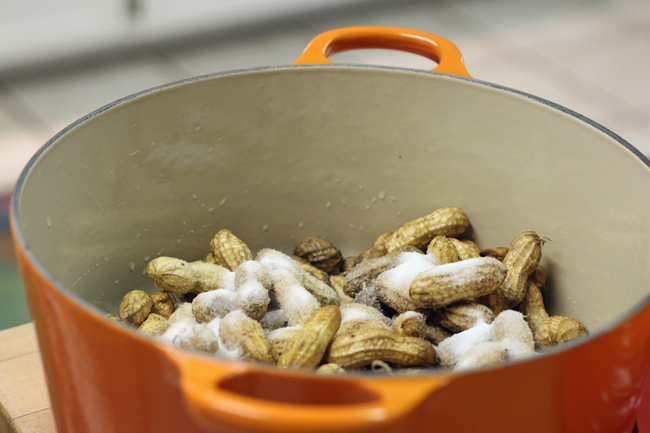 The thought of boiling peanuts doesn't sound particularly good, but oh my goodness they are! 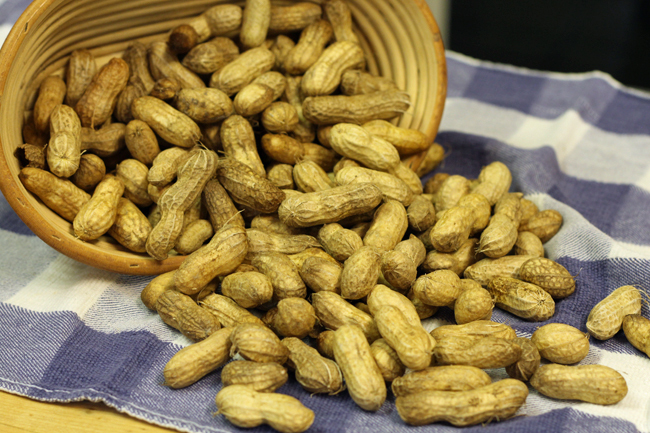 Stop off at any fruit and vegetable stand in the south and you'll find crockpots full of peanuts bubbling away, just waiting for you to scoop them into styrofoam cups. They also come in cans and bags at the supermarket, but I can't vouch for them as I've never tried them. 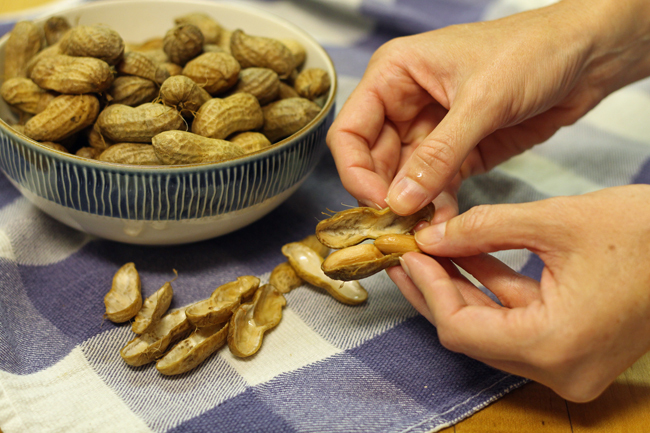 When I saw raw peanuts for sale at the local grocery store I decided I ought to try and make my own (way cheaper than buying a cupful at the local produce stand). Mom had a recipe buried away, so we dug it out and got going! 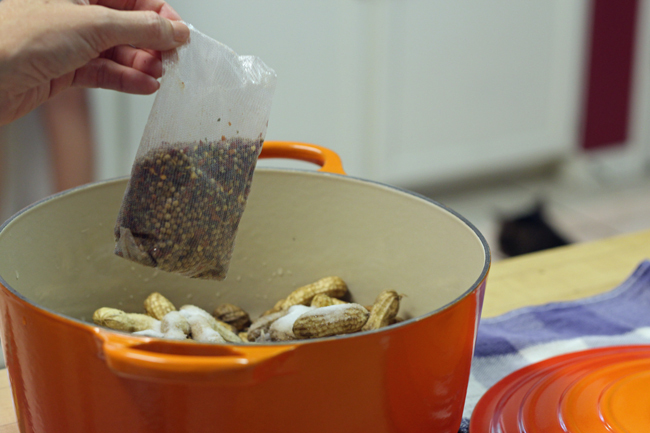 It's really very easy, and just takes a few hours to have a potful of salty, spicy, very more-ish boiled peanuts. 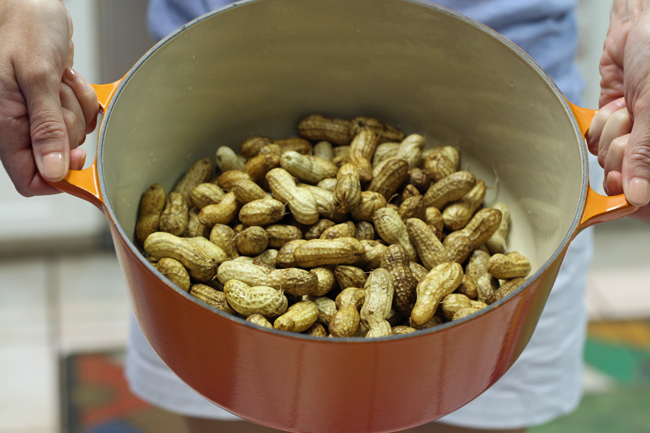 Start with raw peanuts - they cannot be roasted. I bought mine in bulk, but also saw packages of them with the regular nuts. Give them a good wash in the sink. Put them in a large pot, and add salt - lots of it. The recipe I had called for 1 cup of salt for 5 lbs of peanuts. I had about a pound of nuts, so used roughly a quarter cup of salt. I wanted spicy peanuts, so I threw in a bag of crab boil. Season them however you'd like, or just use salt. Next time we're going to add chilis to try and get a bit more of a kick! 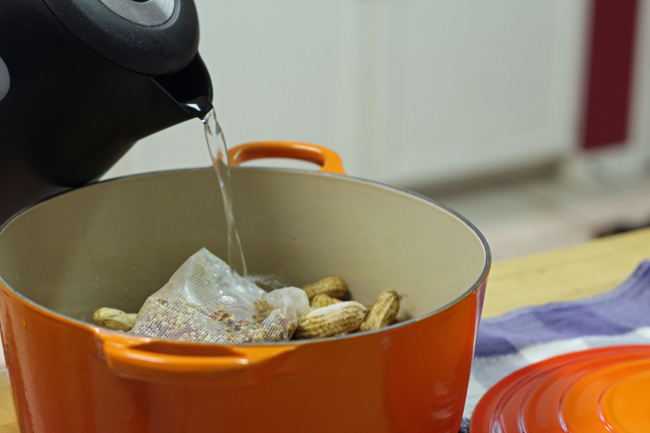 Cover the peanuts with water. Then bring your pot to a boil. 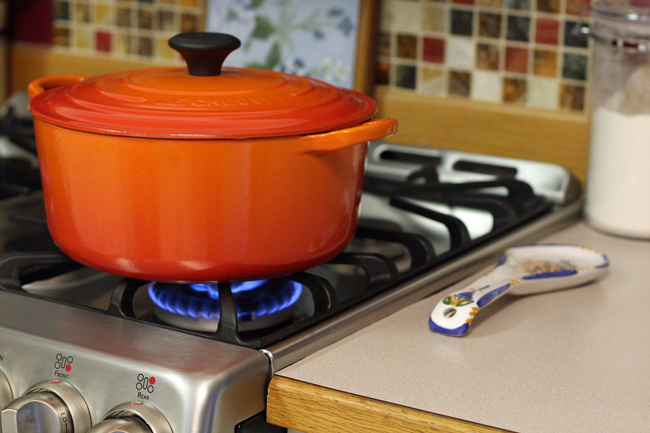 Once it's boiling, turn the heat down and let the nuts simmer for 3 hours, or until they are soft. You might need to add more water if you find it's evaporating. (Alternatively, put all of the ingredients in a crockpot and cook on high for a good 5-7 hours). 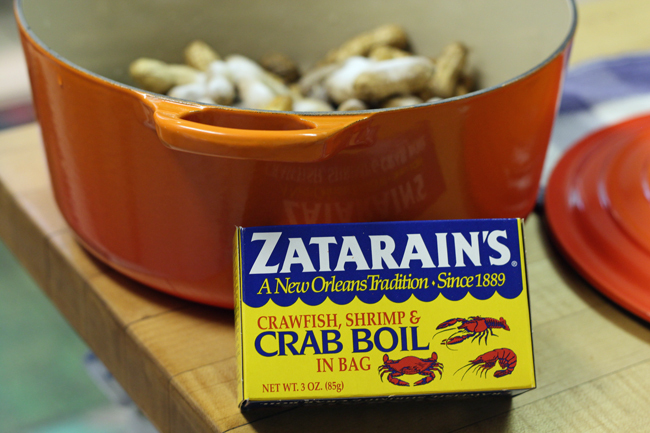 After 3 hours or so, test a peanut (careful, they're HOT!). 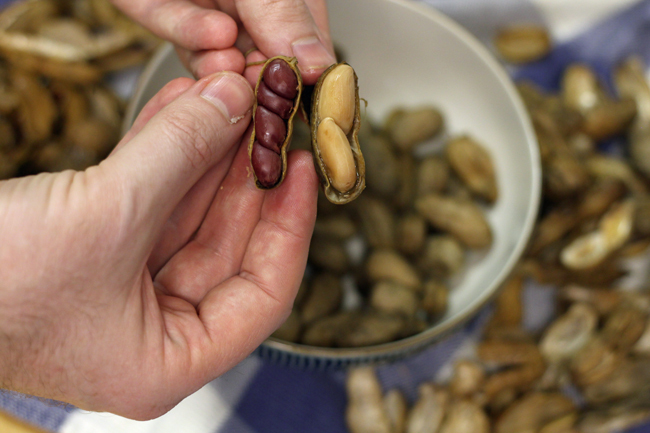 The shell might not be squishy, but the nuts inside should be soft - not crunchy. Once they are done to your liking, turn off the heat and let them cool (you can add some more salt or seasoning while they are cooling). Then start cracking! If you have any left, just drain them and store them in a tupperware in the fridge. They'll keep for a few days. Now that summer is quickly winding down (school starts in about a month! I can't believe it! ), I'm trying to get on more of a regular posting schedule. For now I'll be back to my old UAE schedule, so look for new posts on Sunday, Tuesday and Thursday.